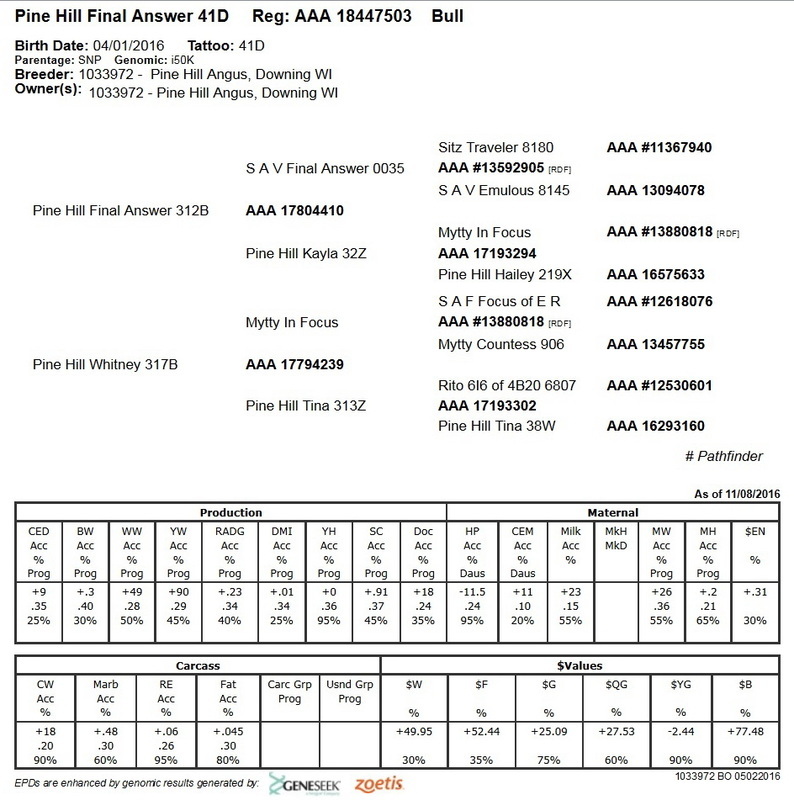 Pine Hill Final Answer 41D FOR SALE ON THE FARM. 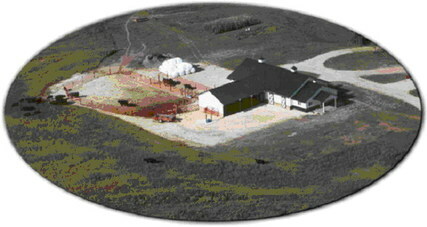 From a time-tested, gentle natured performance cow family. His pedigree traces back through four generations of well documented exceptionally high growth maternal ancestors. His Dam, Pine Hill Whitney 317B achieved a Weaning Ratio of 105 and a Yearling Ratio of 106. 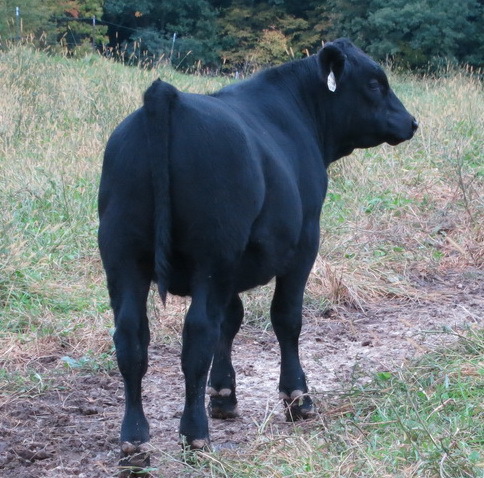 His Grand Dam, Pine Hill Tina 313Z recorded a Weaning Ratio of 100 and a Yearling Ratio of 103. 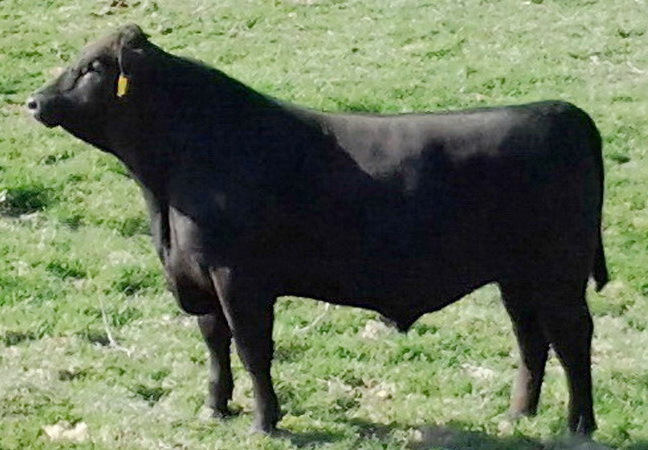 His Great Grand Dam, Pine Hill Tina 38W earned a Weaning Ratio of 110, and a Yearling Ratio of 112. 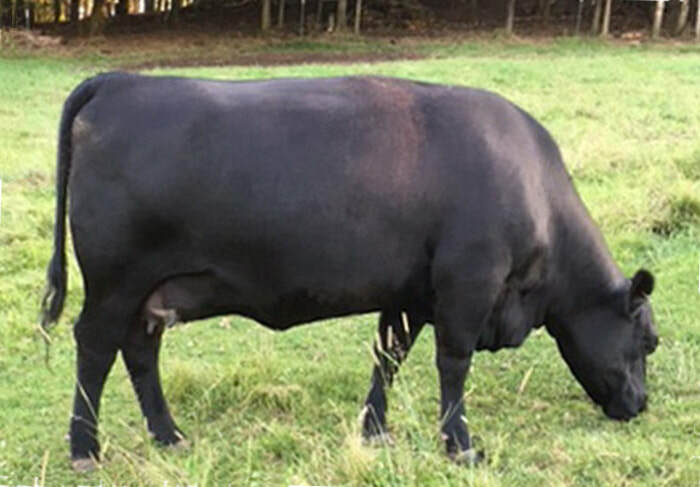 This bull traces back to CFF New Design 036 1367, our cornerstone easy fleshing Embryo Donor Cow. Scale Weight (March 25th 2017) 1096 pounds. A son to the now deceased SAV Final Answer. 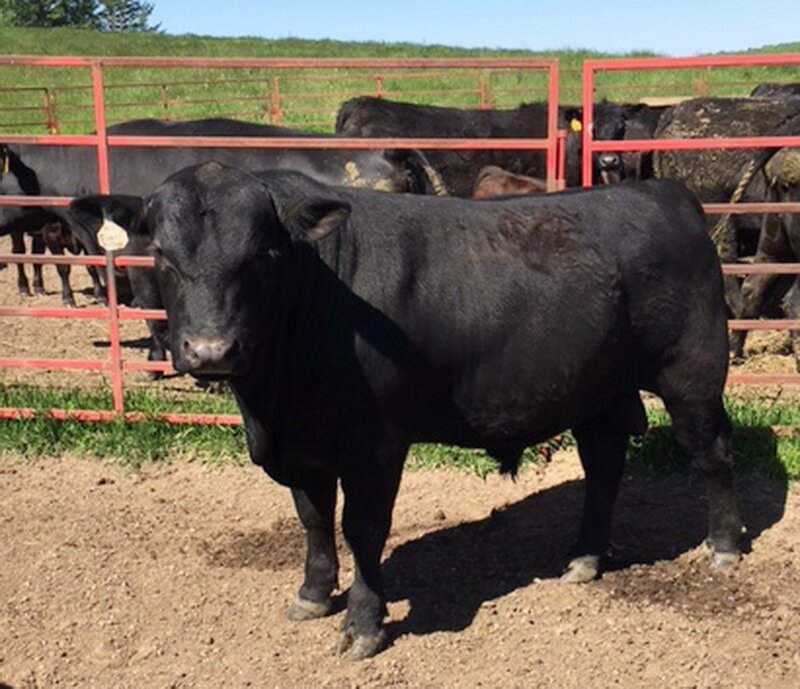 A direct son to the (now deceased) S A V Final AHis Dam, Pine Hill Kayla 32Z was a tiny 51 pound Birth Weight and yet, she weaned off at an impressive 701 pounds. She is big hipped, with plenty of extra bone and a strong top. 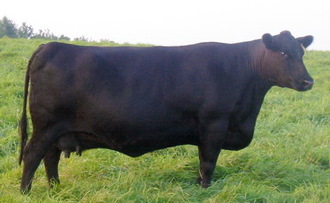 Her pedigree traces back to GAR Predestined and C A Future Direction 5321, two of the all-time highest carcass Sires in the Angus breed. 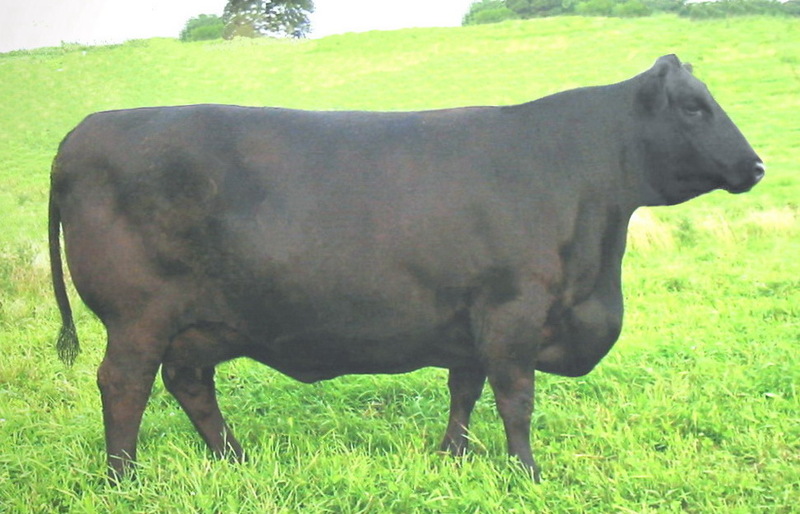 His Grand Dam, Pine Hill Hailey 219X ultra-sounded a WHOPPING 9.3% IMF to earn a Marbling Ratio of 124%. 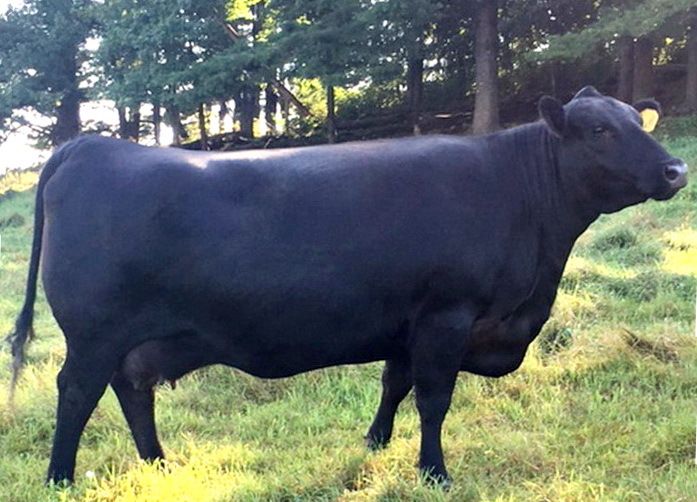 A very docile cow that will stand like a statue while you pet her.